7:00 AM. Up, showered and ready for breakfast. 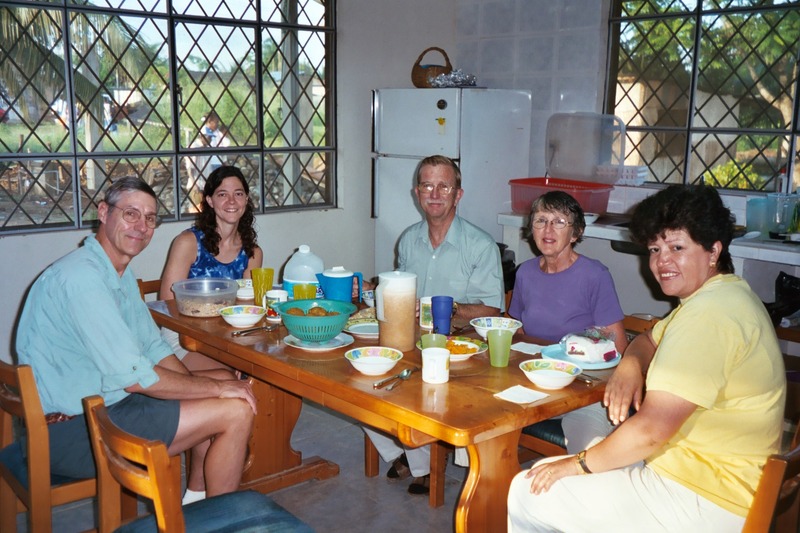 I got a group photo of all of us at breakfast, including John and Mary Doerfer and the plastic surgeon. The plastic surgeon has cases this morning and we start around noon with a D&C, 2 hysterectomies and a laparotomy. 9:00 AM. Our post-op patients all are doing well and look good. Jane is seeing a couple people in the clinic and I am just hanging out for awhile. Lord, I pray for our day today. As You did yesterday, please guide Jane and me in wisdom, knowledge and skill. Give Rob the assurance You are there and that You love him dearly. Please bestow Your indescribable peace to the patients we will see and care for. Lord, remember the team here. Give each one a special measure of Your grace. Thank You. Amen. 8:00 PM. Our day finished sooner then expected when our last patient failed to show up. This gave me the opportunity to lay down for an hour or so. Standing in one position all day leaning over the OR table results in back spasms that really hurt. I was glad to relax and let the spasms quit. Surgery today went well. 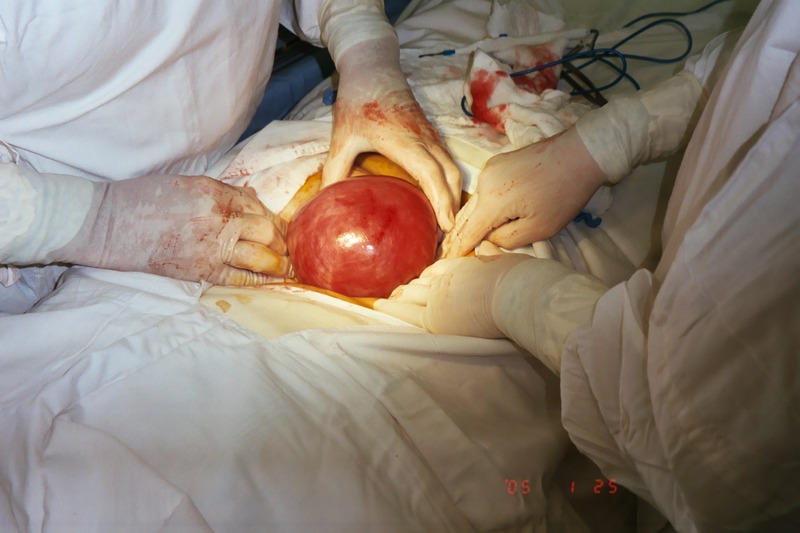 One lady had a large fibroid uterus, about 20-week size. Once into the abdoment the uterus was not as expected. It was smooth, symmetrical and very soft. My first thought was we opened this pregnant lady’s abdomen. The uterus felt pregnant. My heart skipped at the realization. I was so concerned about this being a 20-week pregnancy and so was Jane. Her records were sparse and we had no lab to do a pregnancy test or ultrasound, just our hands and clinical judgment. After feeling the uterus carefully, I could not feel fetal parts or fetal motion. 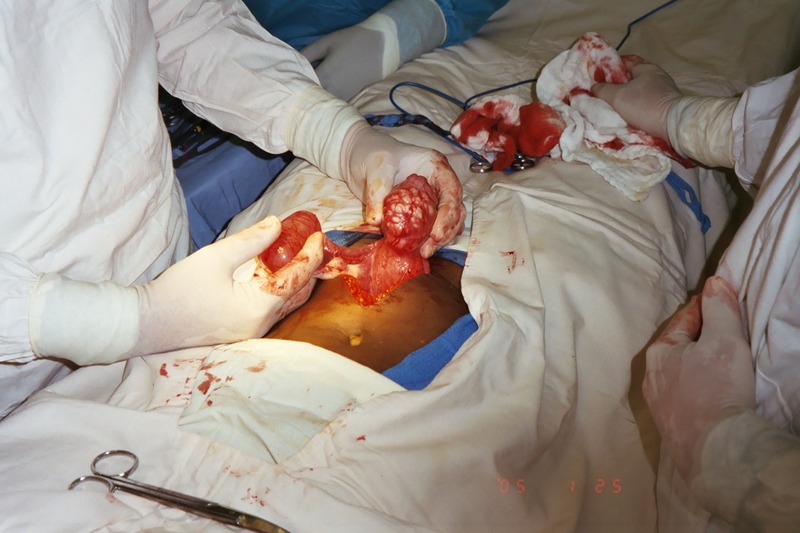 After a lot of thought and prayer, I decided to proceed with a hysterectomy. We got it out without much difficulty and Jane took a scapel and opened it up. I was afraid she would find a pregnancy and then we would have to live with the fact we aborted this baby. 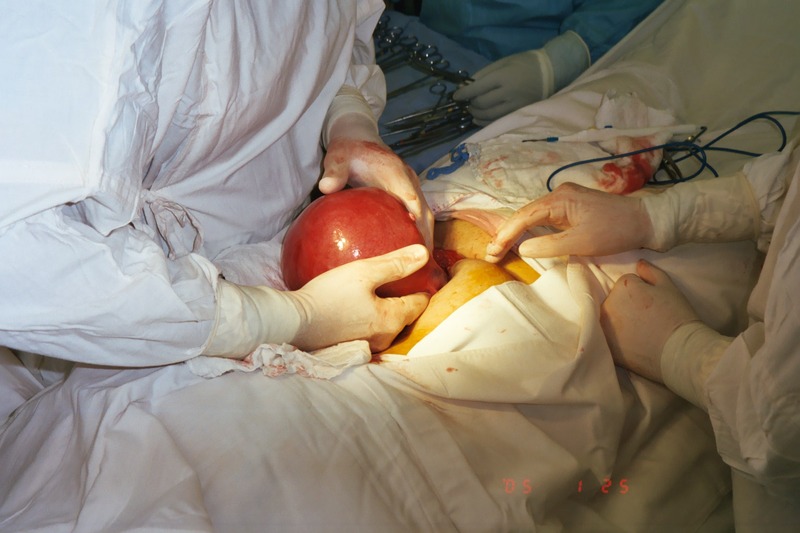 To my relief we found large fibroids. Thank You, Lord, for guiding us through this scary time! The large soft fibroid that caused some tachycardia for us. I am palpating the uterus searching for any evidence of pregnancy. Another case with an unusual fibroid off the top of the uterus and a large cyst involving the right tube. We have had supper and I sent a couple emails to the family. I am now ready to go to bed and get some good sleep. It is warm and humid. I am so glad we have a fan to keep the air moving. Sleep would be quite difficult otherwise. My gut has been cramping a lot today but no diarrhea even though it feels like it could happen. I started on Flagyl to hopefully ward off amoeba or something else. Tomorrow is a very big day and I hope I am not sick. It is so nice to have email to communicate with Phyl and the family. I write on Jane’s computer and then she signs on long distance and sends them. Thank You, Lord, for a good day. Once again You provided above all expectation. Your hands have held us close and have guided us. Your unfailing love sustains us. Your grace makes this service to You happen. Father, I pray for Rob. He is almost too intellectual in that he accepts lies as possible truth. He says he is a Christian but is far from what You describe in Your Word as to what You expect of your followers. Thank You, Father, for Your love. Amen.